Woohoo!... It's that time of the year again! I don't know what to expect from this month. Not sure how much time I will be able to put into it. Don't know if I will be going back to work. Or if I will be having surgery on my knee. If I need the surgery then I should have lots of time in front of the TV. But there is just too many unknowns at this time. So I am not making any goals for myself. I am just going to watch as much horror and Halloween movies/episodes/shorts that I can till the end of the month. I hope to see other people watching horror as well! Pete said he didn't mind if we shared the thread for reviews, so I'm going to post mine here as well. Roger Corman and Vincent Price hook up for horror in Edgar Allan Poe's "most terrifying" (L.A. Herald Examiner) tale of passion, possession and PURR-fect evil! When a dead wife sinks her claws into immortality – and comes back as a ferocious feline – she leads her husband's (Price) new bride on a deadly game of cat and mouse. And when the fur starts flying, she soon learns that even in death...she can land on her feet! 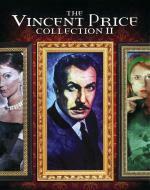 Have I ever mentioned how much I love Vincent Price? I do, I adore him. He's one of my all-time favorites, and he certainly doesn't disappoint here. All of the cast give very performances, but Price is always the absolute star. It's old-fashioned Gothic horror, so there's very little blood and no gore. The film relies on atmosphere, and in that it's perfect, filled with unseen menace and creepy details. This is one of my favorite of Price's films, and it's better with a re-watch. Highly recommended! Note on the blu-ray: While I would have liked to see Shout! Factory clean up the PBS opening and closing pieces they included as extras (which look like they were ported over from VHS), the film itself is absolutely beautiful, with wonderful color and depth; well worth the upgrade from the old Midnite Movies release I had on DVD. After Marnie Watson (Famke Janssen) kills her abusive husband in self-defense, she is confined to a 100 feet radius in her home... only to discover that the house is possessed by the enraged and violent spirit of her dead husband. I never even heard of this film before I got a copy. The overview on the back cover sounded interesting to me... and the trailer looked like fun so decided tp pop it in. I found it to be a pretty good film. I did enjoy it... but have seen better in it's genre. I liked gthe characters.... and enjoyed the storyline. I just wish they would have put that little extra something into it to make it a great movie. But it is a good watch for when you looking to waste a good 90 minutes. Goody (Alicia Silverstone) and Stacy (Krysten Ritter) love the night life, clubbing, hooking up, and always looking for the next thrill, all the while keeping a big secret – they happen to be modern-day vampires. But even with lifetimes of dating experience behind them, the duo realizes they still have a lot to learn about love when Stacy unexpectedly falls for the son of a vampire hunter, and Goody runs into the man of her dreams from decades earlier. With their destinies at stake, the girls are faced with a difficult choice: give up their eternal youth for a chance at love, or continue to live their uncomplicated fabulously single lives forever. 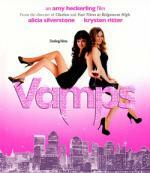 Vamps is written and directed by Amy Heckerling and also features an all-star supporting cast, including Sigourney Weaver, Richard Lewis, Dan Stevens, Justin Kirk, Wallace Shawn, Marilu Henner, and Kristen Johnston. OK.. what did I think of this one? It is a very silly comedy/horror. Not that that is a bad thing. I did find myself enjoying this one... though there wasn't anything too special about it. I found it to be a fun and entertaining film... but pretty much no more then average. Not one I can see watching often but sure I will watch again. Amelia (AFI Award winner Essie Davis, Miss Fisher's Murder Mysteries, The Slap) is a single mother plagued by the violent death of her husband. 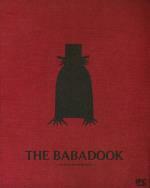 When a disturbing storybook called Mister Babadook turns up at her house, she is forced to battle with her son's deep-seated fear of a monster. Soon she discovers a sinister presence all around her. A chilling tale of unseen and otherworldly horror in the haunting tradition of The Orphanage, Jennifer Kent's visceral journey into the heart of fear itself is as terrifying as it is believable. This one I enjoyed quite a bit. 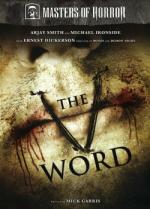 I will say it is a different type of horror movie and it is one that leaves lot to the imagination. Which means different people can take different thing from it. But that is not a bad thing at all. I did have a little trouble warming up to some of the characters, though I was able to. This is definitely one I recommend checking out. Monsters are real. But what is a monster? Is the alien other the monster? Or are the true monsters, the more menacing ones, lurking inside of us? Is it more frightening when you don't know which it is? Strong performances from the two leads, an interesting monster, good choices by the filmmakers in set design, editing and cinematography, escalating threat in the atmosphere, and a script that leaves you open to your own interpretation combine to make this an excellent little film. There's not a lot of gore, and this is a film that makes you think, so take that into consideration, but I'd highly recommend it to the discerning fan. Four Masters of the Macabre star in this sinister and screamingly funny scare-fest! Waldo Trumbull (Vincent Price) is running his father-in-law's (Boris Karloff) funeral home business...straight into the ground! Hounded by his landlord (Basil Rathbone), Trumbull and his assistant (Peter Lorre) devise a way to make death pay: by increasing their customer base through murder and burying the secrets to their success...body by body! This was a lot of fun. Sure, it's silly, and there's some pretty broad slapstick here, but the script is witty and you've got such stars as Price, Lorre, Karloff and Rathbone. They really work well together, especially Price and Lorre playing off each other. Don't take it seriously, and just sit back and laugh. My only criticism is that I wish they'd let up a bit on the annoying opera singing gag. Let me start this review by saying I probably wasn't in the right state of mind when watching this film so take this review with a grain of salt. Don't get me wrong... I did enjoy this movie. How can you not with such great classic genre stars. Some of the comedy in this one I found to be fun... some was a little out there. But the whole wife attempting to sing (off and on through-out the film) I found to just be terribly painful. Over-ll I found this one to be a fairly average film. It is worth the time put in to watch it. This is the TV Movie that started the series. Going into this show I really didn't know what to expect. I mean I really like pretty much anything to do with Vampires... but at the same time it is a Disney Channel show. And they can be geared towards a much younger crowd.... if not the entire family. Though I must say that over-all I enjoyed the movie. Sure it is geared towards a younger crowd. Mainly pre-teens and lower teen years. But I was still able to enjoy it. And they did the vampire deaths pretty good. ...the twist: It's the mom having the issue and not the kid! This has to be one of my favorite episodes of the series. I am sure that is of no surprise to anyone that knows me... come on it is about vampires! Though done differently then most vampire shows... this one has no fangs... in this one they literally tear at their victims to feed. If you never seen this one I highly recommend it... as I do the entire Masters of Horror series.